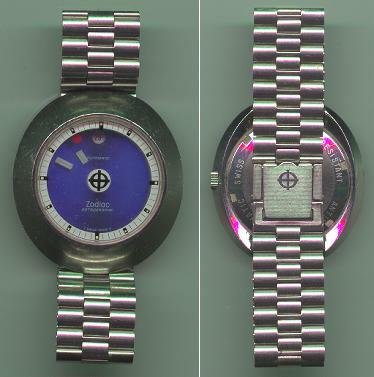 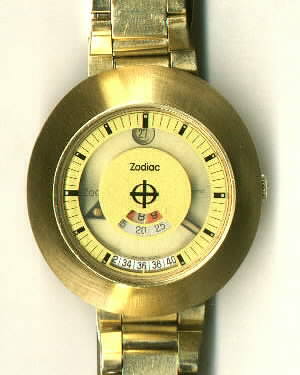 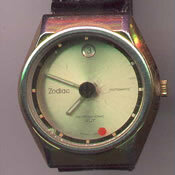 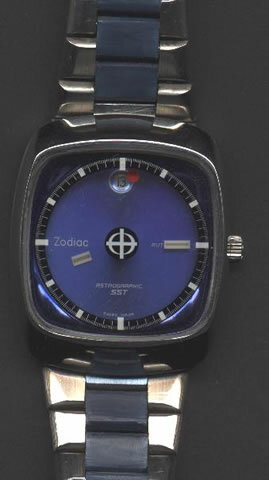 ZODIAC ASTROGRAPHIC MYSTERY DIAL - Case is sold steel in excellent condition an easy 85%. 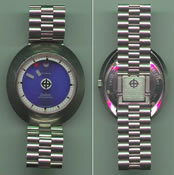 case measures 41mm long x 35mm wide.screw back FLOURESCENT BLUE DIAL excellent.quick change date by pushing crown in. 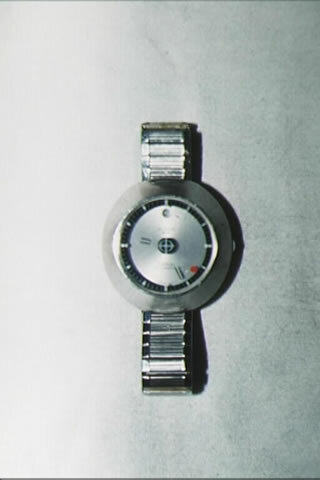 HACKING stop.MOVEMENT auto,works perfectly and keeps exact time. 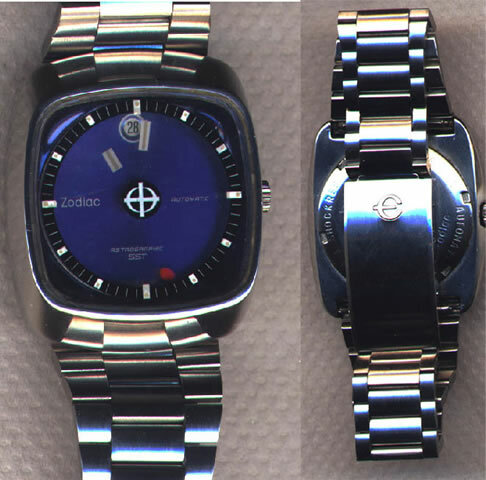 Sold for $250.00 with a non-original ELGIN band. 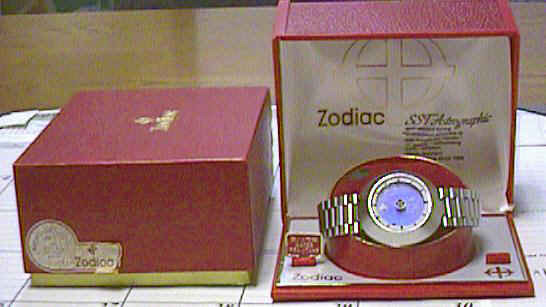 *BIG*, gold (tone...) and Beautiful! 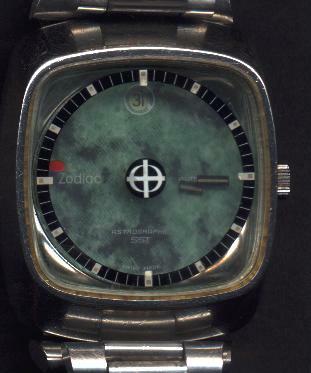 21 Jewel Automatic "Mystery" dial, and the date! 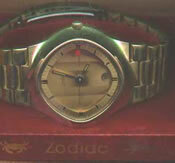 In it's original box with papers and in primo working condition. 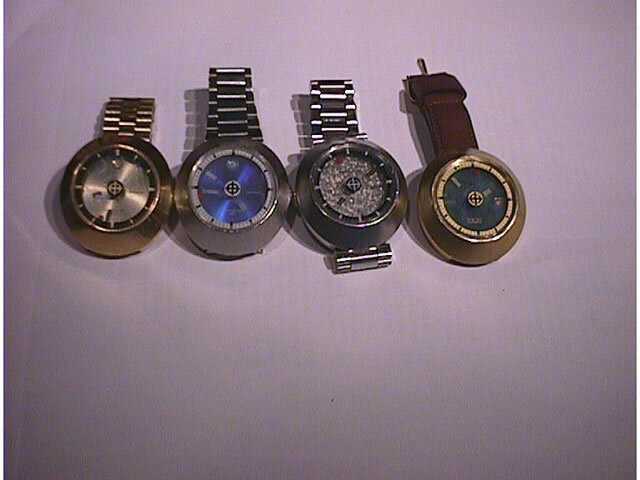 Plated case and band show wear but still quite presentable. 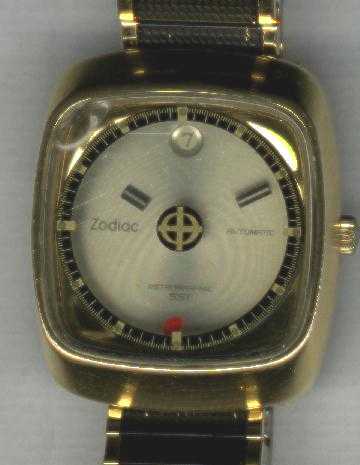 Zodiac Astrographic SST Automatic Date - Near Mint - Gold Color - Stainless Steel Screw Back, Gold Colored Dial, Mystery Hands, Read Outs for Hours, Minutes, Seconds, Date at 12:00, 40 1/2mm Case, 14K GF & Stainless Steel Original Bracelet, Very Handsome!!!! Very Rare!!!! 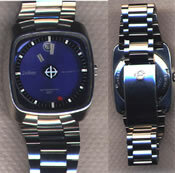 Went to $450.00 but did not sell. 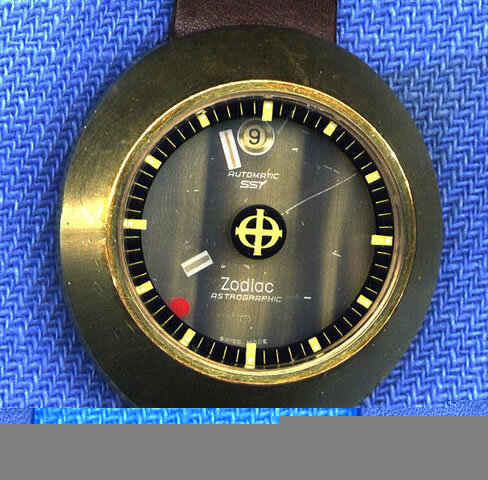 When it comes to mystery dial watches, the Zodiac Astrographic SST is at the head of the pack and this example has an exceptional tiger-eye dial. 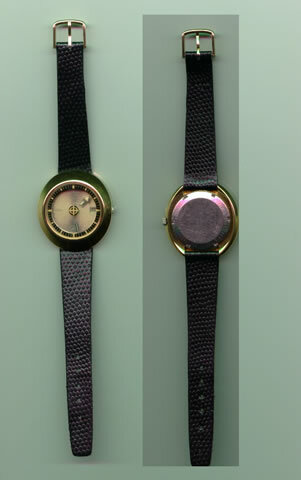 17 jewel movement, automatic, date window at 12, gold tone case with a brown, calfskin band. 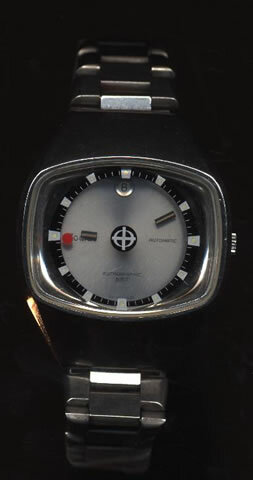 Signed dial, movement, and crown. The dial has some scratches that I have accentuated in the scan, but are hard to see when wearing. 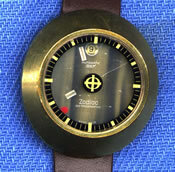 A great Swiss automatic that a lover of mystery dials will enjoy.